San Diego, CA – Lincoln Financial Media announced that Brooks O'Brian has been elevated to Program Director of adult contemporary station KIFM ('Easy 98.1 FM'). She will also remain as Assistant Program Director/Music Director of country KSON-FM but will leave her midday on-air slot. O'Brian came to Lincoln Financial Media in 2007 as a midday personality on KSON before increasing her programming duties in 2010. She had previously been Program Director as well as having anchored mornings at KWNR/Las Vegas in 2000-2006 and spent four years in programming positions at WYNY/New York. "Brooks is a seasoned programmer with experience in multiple markets," said Kevin Callahan, Operations Director of LFM/San Diego. "I'm excited to work alongside with her as we continue to grow San Diego's #1 adult contemporary radio station." 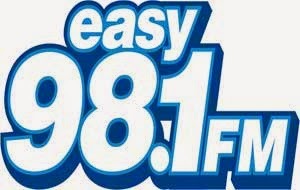 "I'm proud to be part of the Easy 98.1 family!" said O'Brian. "This format has huge potential that is already showing in ratings and revenue. Learning from Kevin and the entire LFM/San Diego staff has helped me grow professionally. I'm very thankful for this opportunity." O'Brian's new duties start immediately.